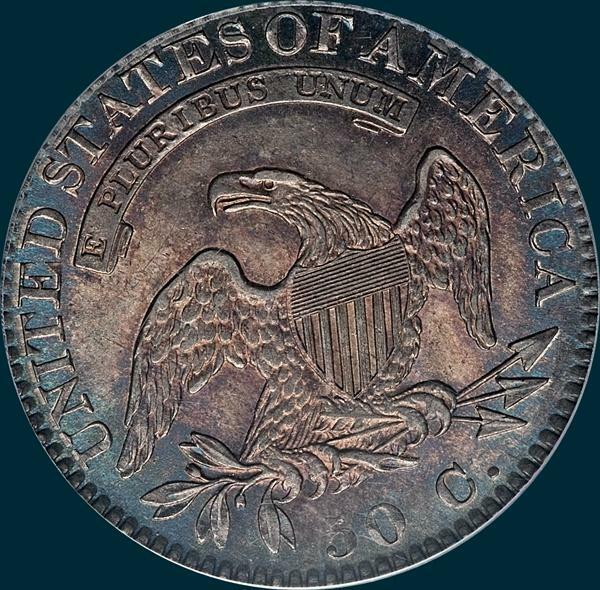 A common die marriage with several mint state examples available, as well as many in the AU grades. MS65 is at the top of the census. 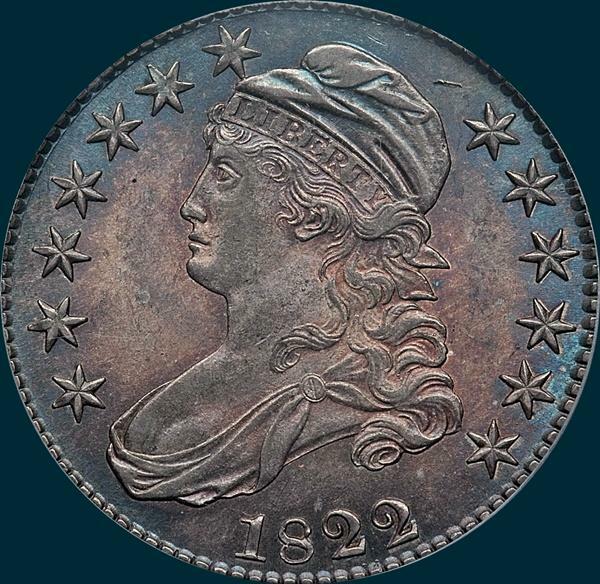 Variety Attribution: Obverse-Large stars and star 7 has tip burried in cap. Date is 8 1/2 mm. Reverse- 50C is 2 1/4 mm. and low. Arrowheads are separated. Arrow to A is 1 1/4 mm. Inner right bases of A's missing. Some show a die crack at RICA. A die chip at right side of R in AMERICA shows on most specimens.